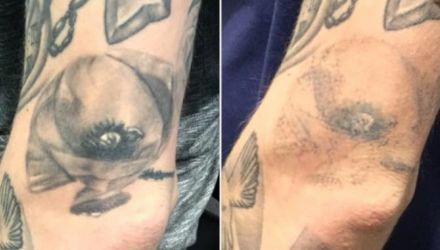 Have you had a change of heart about one of your tattoos? Free yourself from the burden of a regret and show off your skin with a safe and cost effective way to treat unwanted tattoos. We provide a high quality, professional laser tattoo removal treatment service in our clean and relaxing Plymouth based clinic. All procedures are carried out by trained professionals. We use only the best equipment for providing treatment to our clients. The safety and well being of our clients is our number one priority. 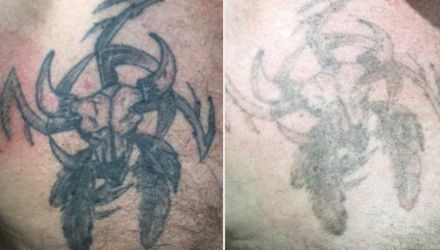 Tattoo removal is performed using lasers that break down the ink particles in the tattoo. The broken-down ink is then fought off by the immune system, mimicking the natural fading that time or sun exposure would create. All tattoo pigments have specific light absorption spectra. 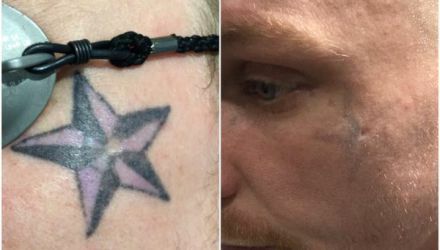 Certain tattoo pigments, such as yellows, greens and fluorescent inks are more challenging to treat than darker blacks and blues, because they have absorption spectra that fall outside or on the edge of the emission spectra available in the tattoo removal laser.